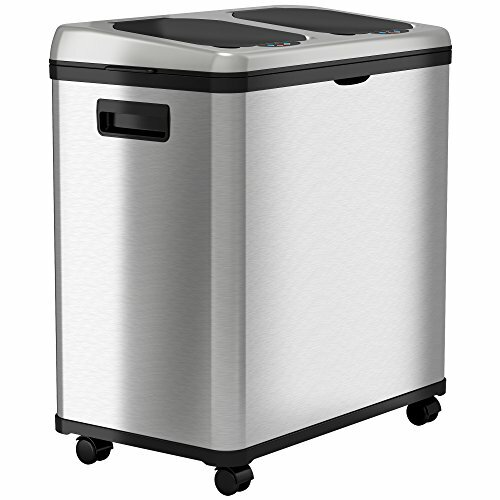 14 Gallon / 52 Liter Kitchen Trash Can – Touchless Sensor Sliding Lid – Stainless Steel Convenient and hygienic, iTouchless Sliding Lid Touchless Sensor Trash Can is the easy, clean, and hygienic way to dispose of trash in your home or office. Just move your hand toward the lid and the infrared sensor will open the sliding lid automatically. The lid will close automatically when you are finished. Infrared Motion Sensor opens the lid automatically with just the motion of your hand Retracting lid is a space-saver, allowing you to place this can where it’s most convenient The Stainless Steel can body is fingerprint and smudge-resistant and easy to clean. It has a sophisticated, modern look that your guests will admire. Perfectly fitted lid prevents a full, heavy bag from falling into the can Powered by 4 D batteries (not included) or optional AC Adapter (sold separately) Dimensions: 13” L x 10.8” W x 29.8” H 1 Year Manufacturer’s Warranty Brand Story iTouchless makes everyday objects smarter, easier to use, and more attractive. We were the first to market with the touchless sensor trash can nearly 20 years ago, and we continue to release innovative home products every year. 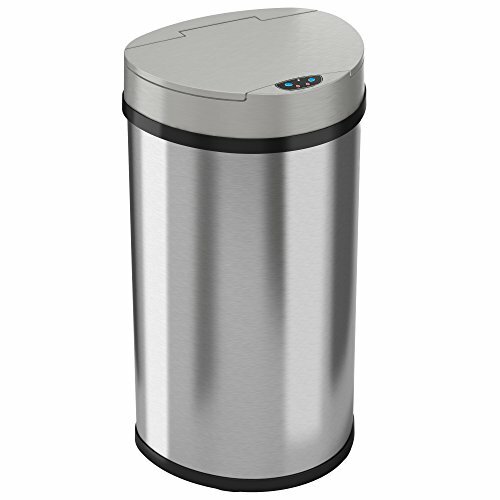 16 Gallon Stainless Steel Trash Can / Recycler with Touchless Sensor Lid Separate recycling and trash with ease with the Touchless Trash Can Recycler. Two 8 Gallon / 30 Liter inner buckets separate trash and recyclables. Both separate compartments feature automatic, sensor-activated touchless lids. Just place your hand near the lid and it will open automatically – no touching needed! Avoid touch-contact with the illness-causing germs and bacteria that live on trash cans. 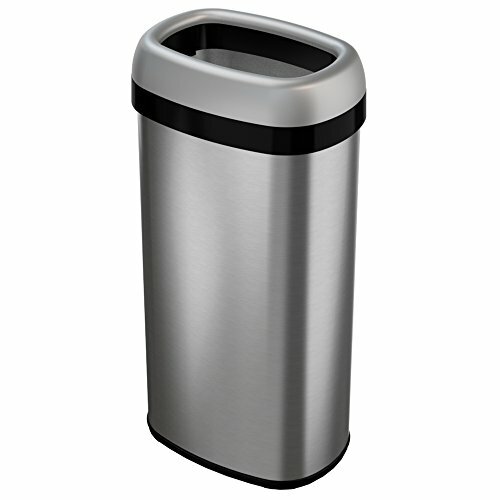 The brushed stainless steel trash can body is fingerprint-proof, smudge-resistant, and easy to clean. The high-quality ABS plastic lid is durable, yet lightweight. The can features four caster wheels, making it simple to move the can when you want. 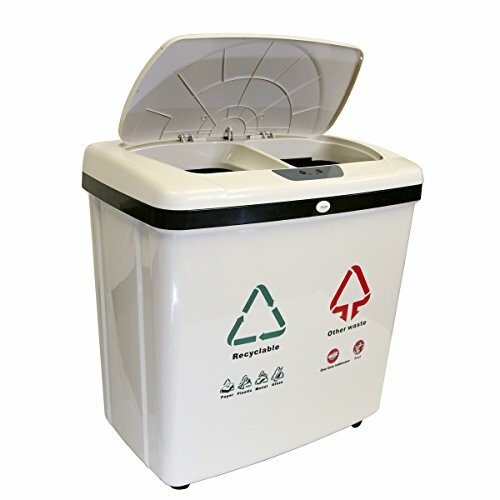 Other features include: Locking lid cover keeps the lid firmly in place Powered by 4 D size batteries (not included) or optional AC Adapter (sold separately) Fits standard 10 gallon trash bags. No custom bags required. 1 Year Warranty included Dimensions: 23 inch D x 14 inch W x 22 inch H Brand Story iTouchless makes everyday objects smarter, easier to use, and more attractive. 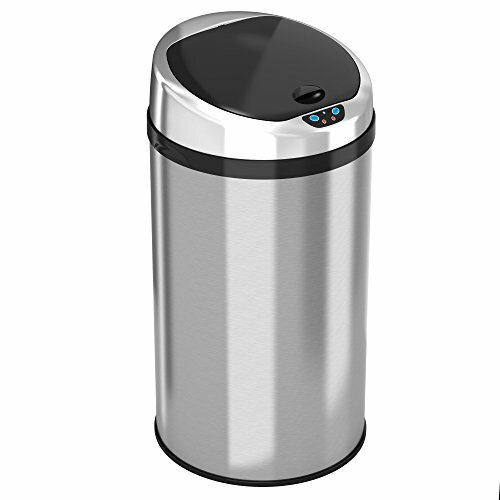 We were the first to market with the touchless sensor trash can nearly 20 years ago, and we continue to release innovative home products every year. 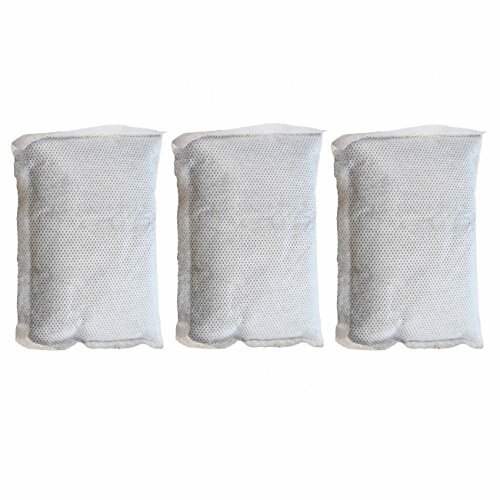 Don't feel wasteful taking out half empty trash bags just because the garbage is smelling up the house because now with the new 3D active carbon filters specially designed to fit in your iTouchless Deodorizer Sensor Trash Can, you won't have to worry anymore about wasting money on trash bags. Lasting up to 3 months, these all-natural active carbon filters are able to absorb and eliminate the odors emitted from the trash. Saving time and money has never smelled so good. For use with trash can models equipped with a carbon filter gate attached to the inside of the lid cover. 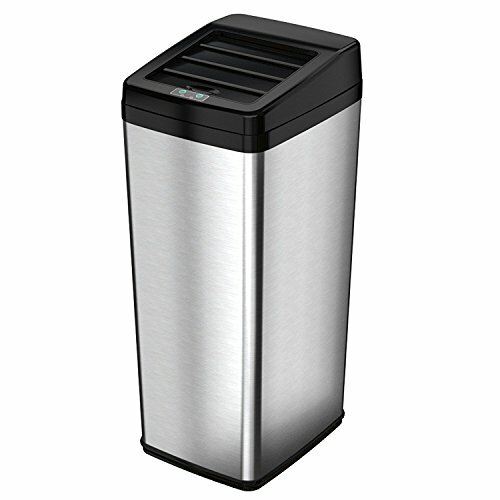 Copyright © Wholesalion.com 2019 - The Best Prices On Gallon Itouchless Trash Can Online.